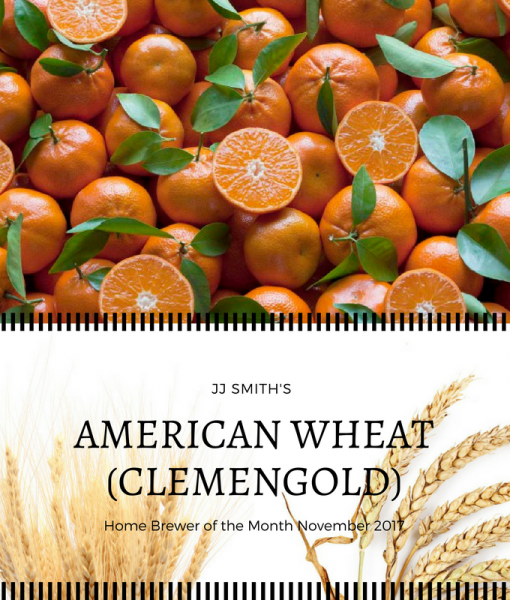 Our Home Brewer of the month for November 2017, JJ Smith, has shared his tasty American Wheat recipe with you. 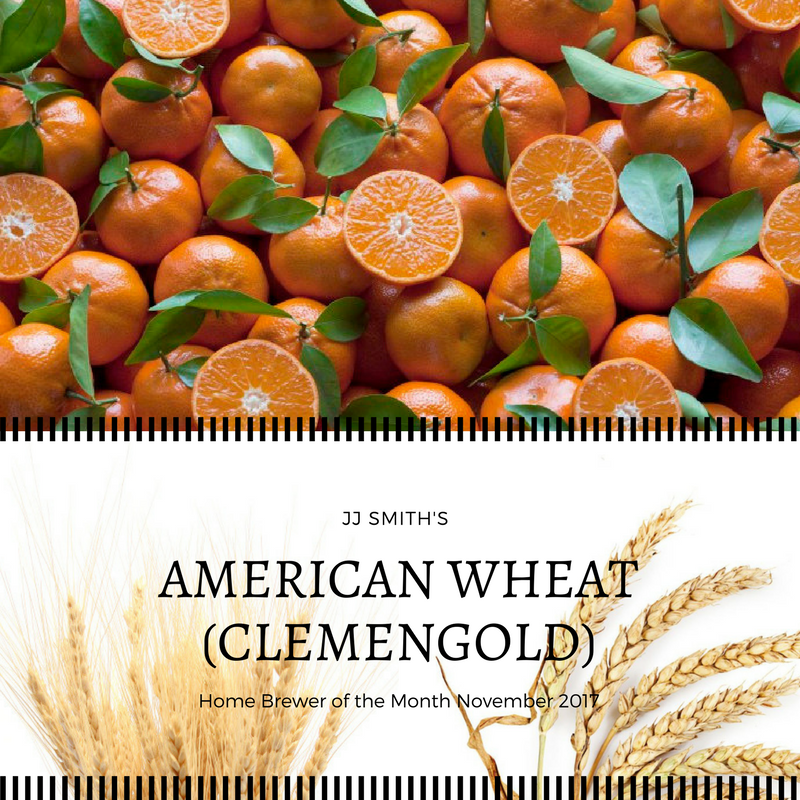 In addition to the dry hopping stage, this recipe calls for the peels of 1kg bag of ClemenGold mandarins. They are known for their very strong, sweet aroma which works well with the Southern Passion.